Can you use a free vacation? The Atlantic City Alliance aimed to increase tourism. 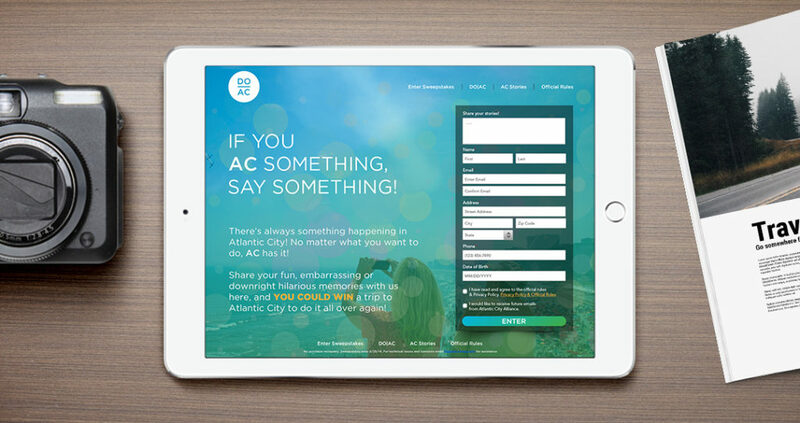 They created a promotion to win a free trip to Atlantic City by sharing their fun or embarrassing experiences. To allow viewers to upload and share their personal stories and participate in the promotion we designed this simple and sleek microsite.